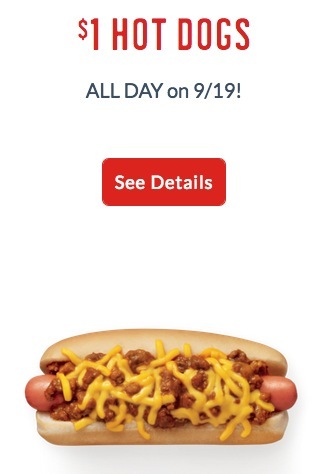 Sonic is offering $1 hot dogs to customers all day long on September 19, 2018. Choose from All American or Chili Cheese Dogs. No coupon is required. Just mention this offer.